THIEVES made off with a cool room full of $7000 worth of alcohol that was destined for Gladstone's sporting elite. The offenders cut a hole in the fence at Marley Brown oval on Sunday morning. 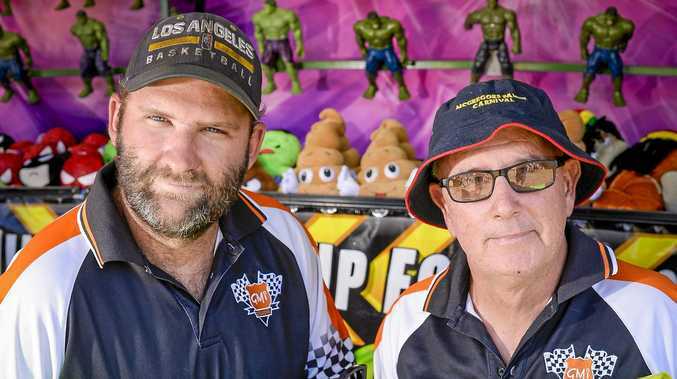 The theft put a dampener on the Gladstone Rugby League grand final celebrations. Gladstone District Rugby League president Glenn Butcher said the theft was frustrating. "All the profits that come through rugby league are generated back into the club and go towards maintain the facility," he said. He hinted that it may have been an inside job. "Not too many people are aware of the cold rooms; it was either someone walking past from the tavern or someone in the area, or someone from footy," he said. "They had to know the layout and how to get it and out." The thieves bypassed the CCTV at Dan Murphy's and likely used the walking track behind Bunnings and BCF.